Take advantage of this train pass that lets you go on unlimited rides between Osaka and Iga-Ueno for 2 days. Jump from city to city with ease as you make your way to your destination efficiently. 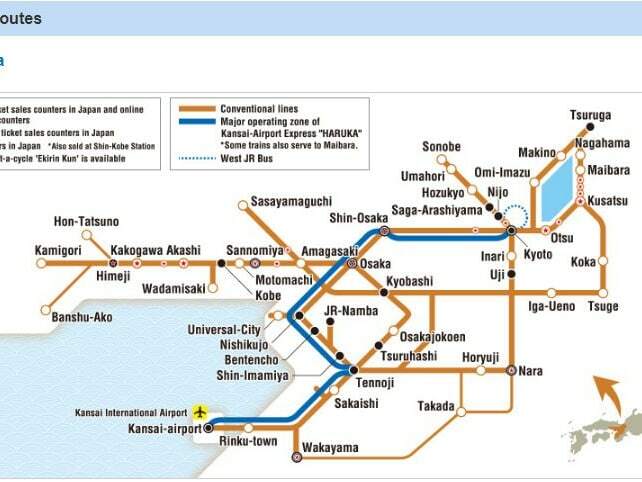 2-Day Kansai Area pass is valid for unlimited travel within the valid areas on the detailed map. Please see photo for reference. After entering Japan, present the MCO along with your passport at the indicated exchange locations below. Fill out an application with the necessary details and claim your 2-Day Kansai Area pass. The Kansai Area Pass is only for foreign tourists entering as a "Temporary Visitor". Japanese passport holders can NOT use this pass. A rail pass is valid for 2 consecutive days.